Key to our transformation as a conglomerate is the way we impact environment, social, and governance (ESG) aspects of our day-to-day operation—our Sustainability Strategy. Sustainability is a key expectation of all our JG Summit stakeholders, from our investors who would like to see us securing the long-term success of our business through a strong Sustainability Strategy to our growing millennial consumers who would like to patronize companies and products that help solve global issues to our current employees and future recruits who would like to work for a company that is part of the solution rather than the problem. Even the government and media expect industry leaders like us to embed sustainability as part of its overall business strategy. In JG Summit, we recognize that the Sustainability Performance of our companies impact the communities we operate and the customers we serve. 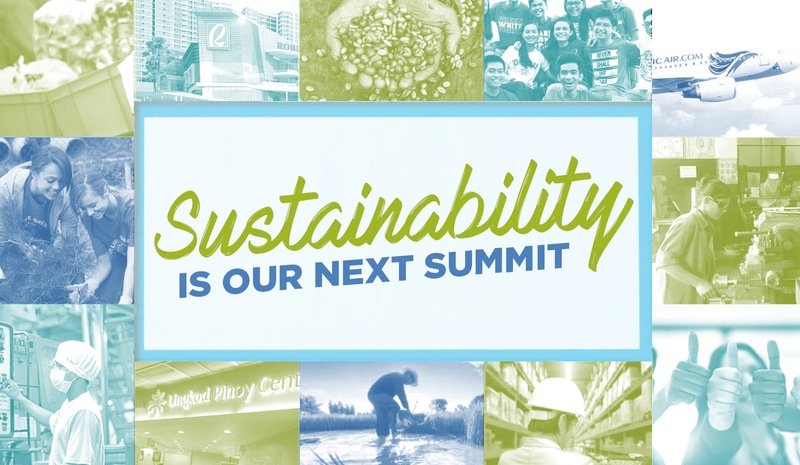 We strive to incorporate sustainability initiatives in all JG Summit Business Units’ operations. Ultimately, we aim to embed a sustainability mindset and culture among the employees of the conglomerate. We work toward economic progress. We partner with enterprising locals, bringing them opportunities to raise their standards and grow alongside us. We seek progressive partners, finding ways to collaborate and develop best practices we then apply together. Through responsible business management and smart investments, we ensure steady growth and long-term success to help drive the national economy. We give back in a meaningful way to society, within our capacity. We seek to give only the best to our clients and patrons. We offer excellent products and services, and place these within reach of those who need them the most. We provide our employees with the knowledge and skills that will stand them in good stead, because their success is ours, and ours is theirs. We also advocate responsiveness to the local community, who become our partners in progress. We strive to sustain a healthy planet. We believe it is possible to succeed in business, without causing harm to the environment. We promote a culture of accountability in our group, ensuring that we use our resources wisely and that our systems and processes are up to standard. We also promote a culture of care among our peers in the industry and join in the collective effort to preserve our natural resources.